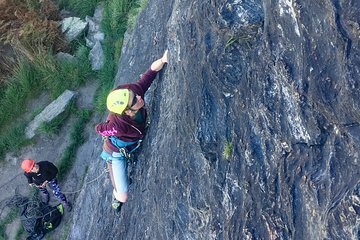 Push your limits mentally and physically by learning to rock climb in New Zealand’s premier sport climbing location. Receive hands-on lessons from your attentive expert climbing instructors if you’re a first-timer, or take a refresher-course if you're an experienced climber. Afterwards, depart Wanaka in small groups (roughly one guide to every four climbers) to ascend a nearby rock face suited to your group’s skill level.